Billboard and partner Nielsen SoundScan will soon start counting streaming services like Spotify and Beats Music in its signature ranking, the Billboard 200, reports The New York Times’ Ben Sisario. Under the new rules, 1,500 streams will equate to one album sale. Likewise, 10 individual song downloads will also count for an album sale. The move to include streaming services in Billboard’s ranking is a boon for younger artists, whose listeners are used to going online to for their music. 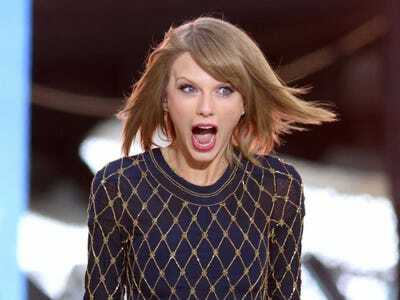 The news comes as Spotify, one of the most prominent music streaming services, has been waging a war of public opinion with Taylor Swift, who pulled her catalogue from the service last week. Time will tell if artists who, like Swift, have pulled their music from Spotify will get the short end of the stick with this move. Common sense dictates that without the streaming numbers giving artists that bump, those musicians would be at a disadvantage. The Billboard 200 is arguably the most powerful chart in the music business with regards to album sales. As of this writing, Taylor Swift’s “1989” is number 1.